Home > SUSTO Brings “Ever Since I Lost My Mind” To The Troubadour > SUSTO @ The Troubadour 3/22/19. Setlist. 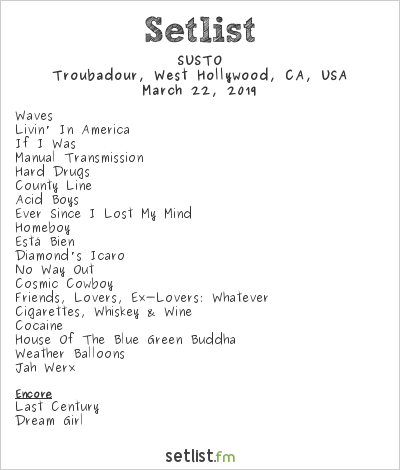 SUSTO @ The Troubadour 3/22/19. Setlist.